Dr. Ben Furman is a Finnish psychiatrist, psychotherapist and an internationally renowned teacher of solution-focused therapy. He graduated as a medical doctor from Helsinki University in 1979, and after working as a primary care physician initially, he shifted to psychiatry and received his specialist designation in adult psychiatry in 1986. 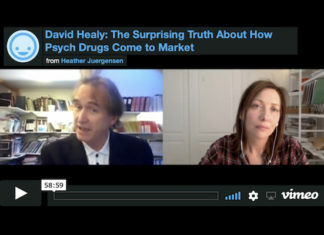 Dr. David Healy is a Professor of Psychiatry at Bangor University in North Wales. He studied medicine at University College Dublin, Ireland, and at Cambridge University. A former Secretary of the British Association for Psychopharmacology, he’s the author of over 200 peer-reviewed articles and 24 books, including The Antidepressant Era, The Creation of Psychopharmacology, Let Them Eat Prozac and Pharmageddon. Nicole Gibson is a fierce ambassador for mental health, advocating for more innovation and connection within mental health care, after recovering from her own terrifying experience with anorexia nervosa as a teenager. At age 21 she was listed as one of the 100 most influential women in Australia and was featured on the cover of the Financial Review. 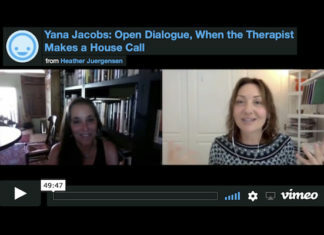 Yana Jacobs holds a Master’s degree in psychology and counselling from UC San Francisco and is trained as a licensed marriage and family therapist. She is currently the Chief Program Officer at the Foundation for Excellence in Mental Health Care, a Non-Profit community foundation with a mission to bring alternatives into the mainstream public and private sectors. 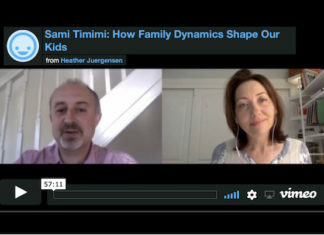 Sami Timimi is a Consultant Child and Adolescent Psychiatrist with the National Health Service in the UK, and a Visiting Professor of Child and Adolescent Psychiatry at the University of Lincoln. He writes from a critical psychiatry perspective and has published many articles and books including A Straight-Talking Introduction to Children’s Mental Health Problems and Naughty Boys: Anti-Social Behaviour, ADHD, and the Role of Culture. 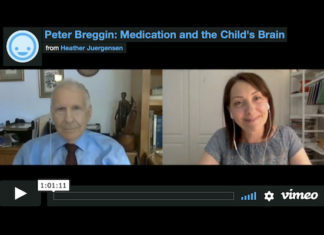 Peter Breggin, MD is a psychiatrist and expert in clinical psychopharmacology. 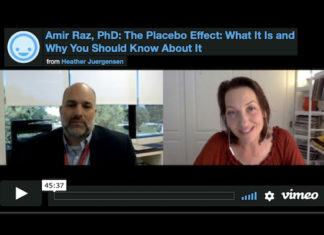 A former teaching fellow at Harvard Medical School and full-time consultant at the National Institute of Mental Health, he has written dozens of scientific articles and more than twenty books, including Toxic Psychiatry, Talking Back to Prozac, Talking Back to Ritalin and The Ritalin Fact Book. 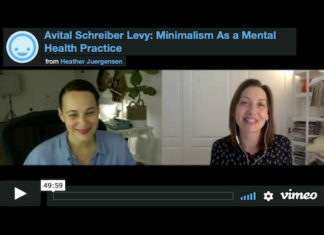 Today’s guest is Avital Schreiber Levy. Avital is a Mindful Parenting Coach and a self-described “Childhood Designer.” Founder of the popular website TheParentingJunkie.com, Avital’s mission is to help parents who struggle with chaos, clutter and conflict transform their experience with young children into one of presence, play and peace. Danielle Daniel is a licensed psychotherapist (an LCSW) and a Clinical Psychology PhD student from San Diego, California. As a therapist, working with trauma victims, survivors of torture and abuse, and suicidal and high-risk teens, she has seen strong, positive client outcomes with a holistic approach using psycho-aromatherapy. 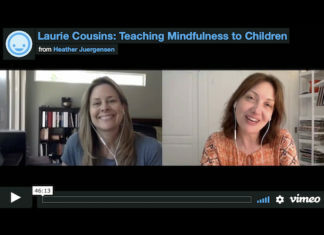 Laurie Cousins is a certified mindfulness facilitator through the UCLA Mindful Research Center. She is a Research Associate at UCLA Child & Adolescent Mood Disorders Program, facilitating mindfulness-based cognitive therapy groups for research studies with teens and college students. Anna Yusim, MD is a Manhattan-based psychiatrist on the Clinical Faculty at Yale Medical School and is the best-selling author of Fulfilled: How the Science of Spirituality Can Help You Live a Happier, More Meaningful Life. She completed her undergraduate education at Stanford, where she studied Biology & Philosophy. 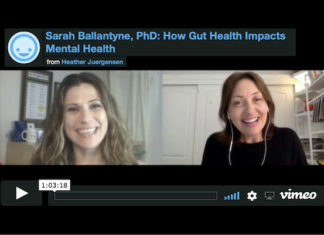 Sarah Ballantyne, PhD is the creator of the award-winning website thepaleomom.com, cohost of the syndicated top-rated podcast The Paleo View, and New York Times bestselling author of Paleo Principles, The Paleo Approach and The Healing Kitchen. 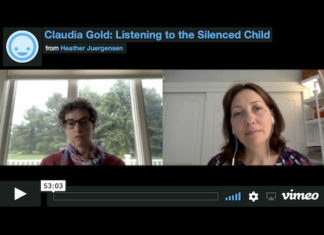 Claudia Gold, MD is a paediatrician and a writer with a long-standing interest in addressing children’s mental health needs in a preventive model. She has practiced general and behavioral pediatrics for over 20 years and currently specializes in early childhood mental health. Today’s guest is Dr. Sharna Olfman a licensed psychologist with a private therapy practice in Pittsburgh PA. She practices insight therapy and approaches therapy from a holistic framework. She has written and lectured internationally on the subjects of children’s mental health and parenting. She is the editor/author of the Childhood in America book series from Praeger Publishers. Jed Diamond, PhD is a licensed psychotherapist with a doctorate in International Health and a master’s degree in social welfare. 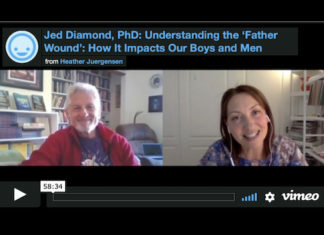 A widely-recognized pioneer in the field of gender medicine and men’s health, Jed has written dozens of books including My Distant Dad: Healing the Family Father Wound, The Warrior’s Journey Home: Healing Men, Healing the Planet, and The Irritable Male Syndrome. Rachel Simmons has written extensively on the social psychology of girls. She is the author of Enough As She Is: How to Help Girls Move Beyond Impossible Standards of Success to Live Healthy, Happy and Fulfilling Lives. She is also the author of the New York Times bestsellers The Curse of the Good Girl and Odd Girl Out, the latter of which was adapted into a highly acclaimed Lifetime television movie. Dr. Dan Siegel is a clinical professor of psychiatry at the UCLA School of Medicine and the founding co-director of the Mindful Awareness Research Center at UCLA. He is also the Executive Director of the Mindsight Institute which focuses on the development of mindsight, which teaches insight, empathy, and integration in individuals, families and communities. 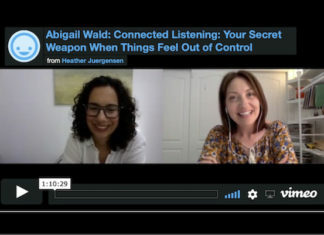 Today’s guest is Abigail Wald, co-host of the popular podcast "Hand in Hand: A Podcast for Parents.” She is a certified Hand in Hand Parenting instructor, and also a certified trainer for the Michael Gurian Institute. She teaches parents practical things they can do every day in their own homes to shape the life they want for themselves and their children. Professor Tim Carey is Director of Flinders University’s Centre for Remote Health in Alice Springs, Australia. A scientist-practitioner, he has worked in Scotland’s National Health Service as a Chartered Clinical Psychologist, in the public mental health service in Australia, and in private practice. A Fulbright Scholar, Tim has over 100 publications including peer-reviewed articles, books, and book chapters. Marzi O’Bryan is an internationally-trained Nutritional Therapist certified by The College of Naturopathic Medicine in Dublin. 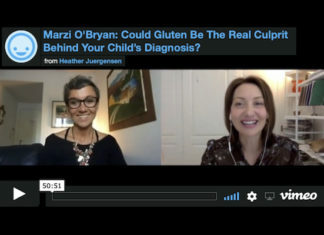 By healing her own past health problems, Marzi learned the value of using food to address both brain and autoimmune dysfunction. She worked side-by-side with Dr. Tom O’Bryan in making the documentary Betrayal: The Autoimmune Disease Solution They Are Not Telling You. Ann Childers, M.D. is a child and adult psychiatric physician with a special interest in regaining the physical and mental health of children, adolescents and adults through standard psychiatric care integrated with principles of nutrition and sleep. 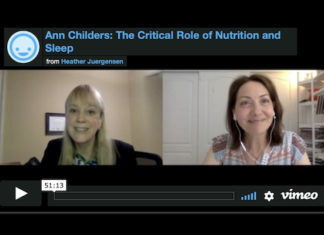 Dr. Childers has contributed to a number of textbooks, notably among them the chapter entitled ‘Nutritional Aspects of Psychiatry’ in the book Child and Adolescent Psychiatry: The Essentials. 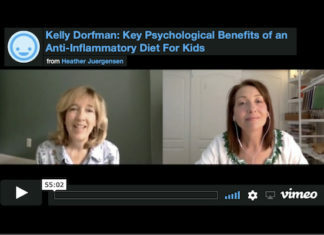 Kelly Dorfman is one of the world’s foremost experts on using nutrition therapeutically to improve brain function, energy and mood. She works collaboratively with other medical professionals to develop creative strategies for complex ailments and symptoms. Kelly lectures extensively and has been featured on numerous TV shows including CNN’s American Morning. Today’s guest is Madisyn Taylor. 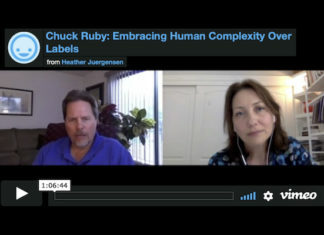 Madisyn is the co-founder and editor-in-chief of the popular inspirational website and daily email, DailyOM and is responsible for all of its content. A recognized leader in self-help and new thought spirituality, Madisyn has more than 25 years of experience in personal development and alternative healing methodologies. Today’s guest is Bessel van der Kolk. 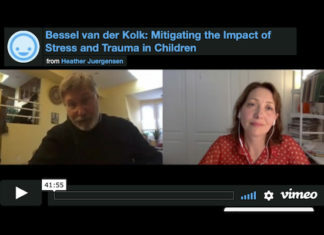 Dr. Van der Kolk has spent his career studying how children and adults adapt to traumatic experiences, and has translated emerging findings from neuroscience and attachment research to develop and study a range of potentially effective treatments for traumatic stress in children and adults. 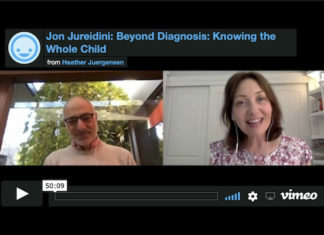 Today’s guest is Jon Jureidini, an Australian child psychiatrist who heads Adelaide University’s Critical and Ethical Mental Health research group (CEMH), which promotes safer, more effective and more ethical research practices in mental health. 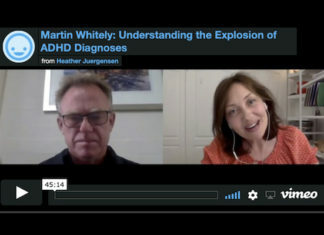 Martin Whitely, Ph.D., is a mental health researcher, teacher and author, and previously was a politician, serving as a Member of the Western Australian Parliament from 2001 to 2013. During that time, he influenced Australian pediatric mental health practice, particularly how drugs were prescribed for ADHD. Today we’re speaking with Peter Kinderman. Peter Kinderman is Professor of Clinical Psychology at the University of Liverpool and former President of the British Psychological Society. His most recent book, ‘A Prescription for Psychiatry’, argues for radical change in how we think about mental health. Today’s guest is Robert Whitaker. 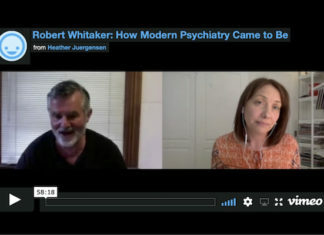 Robert Whitaker is the author of five books, three of which tell of the history of psychiatry. His book Anatomy of an Epidemic: Magic Bullets, Psychiatric Drugs, and the Astonishing Rise of Mental Illness in America, won the Investigative Reporters and Editors book award for best investigative journalism in 2010.